The Episcopal Church in Colorado encompasses territory first inhabited by the Arapahoe, Cheyenne, Shoshone, and Ute peoples. The San Luis Valley, ringed by the staggeringly beautiful Santo de Cristo mountain range is home to farmers and ranchers themselves descended from the first Spanish residents of the region, then called Santa Fé de Nuevo México. In 1851 a group of pioneers from Taos ventured north into the San Luis Valley, where they established the town of San Luis—Colorado’s first permanent European settlement. By then, French and Anglo fur trappers and hunters had also reached the interior, building trading depots along the Arkansas and Platte river valleys. These supplied travelers and itinerant residents along the Front Range of the Rocky Mountains, particularly along the Oregon and Santa Fe trails. These early traders and trappers would later serve as scouts for U.S. military expeditions into the North American interior and later lead convoys of civilians west. The first westbound groups—principally Mormons and Forty-Niners—were careful to circumnavigate Colorado’s imposing cordillera, with 58 mountain peaks surpassing 14,000 feet. “Colorado” itself is the Spanish term meaning ‘red,’ for the reddish silt coloring the Colorado River. In 1858 the “Pike’s Peak” Gold Rush would draw a number of new hopeful immigrants to the gold camps in what was called the Kansas Territory. Most of the newcomers set their hats for camps named Empire, Cripple Creek, Breckenridge, Idaho Springs, and Fairplay, some of them deep in the mountains. It was here where most of the gold and silver ore (and, later, other precious metals) was to be found. But Denver City, too, became a destination. At the confluence of Cherry Creek and the Platte River, Denver transformed itself into supply depot and transshipment operation—and home to thousands of new families. With the new territory awash in saloons and lumber yards and makeshift hotels, frequented by land speculators, miners, and merchants, Jack Kehler, the newly named sheriff of Arapahoe County, saw a need for clergy. He invited his father, an Episcopal priest, to join him. A month later, The Rev. John H. Kehler (“Father Kehler”) arrived by stagecoach. He had left behind a congregation in Sharpsburg, Maryland, not much enamored of their rector’s Union sympathies. The nation was on the brink of the Civil War. Kehler and his flock were soon celebrating church services in the Union School House on McGaa Street on the very banks of a flood-prone Cherry Creek. Together they formed the Church of Saint John in the Wilderness—“in the Wilderness,” for one member of the vestry noted that the closest Episcopal church was 700 miles away. The congregation soon moved into a church building vacated by the Southern Methodists. Father Kehler was the first of many circuit-riding clergy serving missions in the mountains and on the plains, holding services in gambling halls, saloons, or other available quarters in the new U.S. territory. George Maxwell Randall (1810-1873) Episcopal bishop of Missionary District of Colorado and Parts Adjacent. Itinerant bishops were also being called to new mission fields. The region’s first missionary bishop was The Rt. Rev. Joseph Talbot, whose territory included Montana, Wyoming, the Dakotas, Nebraska, Colorado, Utah, and Nevada. Describing himself as the “bishop of all outdoors,” Bishop Talbot helped found churches throughout the Great Plains and the intermountain regions. Talbot was succeeded by The Rt. Rev. George Maxwell Randall of Boston. The region’s second missionary bishop served from 1865 to 1873—a remarkable tenure for the ferocious pace Randall set. As a builder of a number of Gold Rush–era churches and schools, Bishop Randall expressed dismay and frustration to see towns rise full of promise one year only to empty the next. John Franklin Spalding (1828-1902) Missionary Bishop of Colorado and Wyoming, first Bishop of Colorado. Before he was named the first bishop of Colorado in 1887, John Franklin Spalding began his service as missionary bishop of Colorado and Wyoming in 1873; he also had oversight of Arizona and New Mexico. 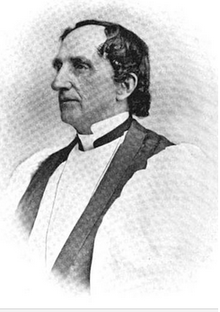 Having arrived from Erie, Pennsylvania, with a powerful vision of a “Cathedral system, after the English model,” Bishop Spalding encouraged the vestry of Saint John’s to call The Rev. H. Martyn Hart to be its fifth rector —and its first dean. The congregation had already raised the funds to build a cathedral. Throughout this period, Bishop Spalding bought land all over the new western state and assisted in developing some 87 congregations. The bishop’s wife, Lavinia Spencer Spalding, who had organized the Ladies’ Aid Society, founded, funded, and managed Saint Luke’s Hospital for decades. The wife of one of the first western bishops, Mrs. Spalding was also the mother of another, Bishop Franklin Spencer Spalding (Bishop of Utah, 1905–14). The greatest challenges to The Episcopal Church in Colorado have been geography and terrain. This was never so true as in the late 19th century. Colorado bishops today travel over 5,500 miles every year as they visit their parishes and missions. But this is generally done in SUVs, not on horseback. In the episcopate of Charles Sanford Olmstead (1902–17), the Bishop faced several crises. Only two weeks after his consecration, the first cathedral was destroyed by arson (the bishop served long enough to lay the cornerstone for the new cathedral in 1909). A few years later a fiscal crisis threw the diocese into financial chaos. After the diocesan chapter clerk confessed to embezzlement, Bishop Olmstead retreated to Connecticut, leaving management to the Standing Committee. During this time the diocese was reorganized to be an organization with a board of trustees. The episcopates of Irving Peake Johnson (1918–38) and Fred B. Ingley (1938–1949) spanned the two world wars bracketing the Great Depression—times of sacrifice and deprivation but also of expansion. A a professor of church history at Seabury Seminary, Johnson was consecrated Coadjutor in 1917 and Bishop in 1918; he served until 1946. Warmly welcomed in Colorado, Johnson became known across the country for his speaking ability, ripe sense of humor, and his editorship of The Witness magazine. Consecrated Coadjutor in 1921 and Bishop in 1946, Ingley served until 1949. He had been rector of St. Mark’s Denver, a pretty stone church just blocks from the Cathedral. The now-decommissioned church (and nightclub) had been called the “Bishop’s Church” after Bishop Spalding, its first rector. During this period the diocese saw significant gains in the number of communicants, increasing to 16,000. This was matched by a 300 percent increase in giving, balanced against a decrease in clergy from 72 to 58, and of congregations from 108 to 57. Harold L. Bowen was installed as Bishop Coadjutor in 1947; he served as Diocesan Bishop from 1949 until 1955. Joseph Minnis succeeded Bishop Bowen and served as Diocesan Bishop from 1956 until 1968. During his tenure, the church built the Episcopal Diocesan Center on 16th Ave. and purchased Trinity Ranch, west of Pueblo. Bishop Minnis experienced several serious financial and personal crises; he was removed from office in 1968. The social disruptions of the 1960s and 1970s also visited The Episcopal Church in Colorado. Suburban parishes boomed along with young families. During this period Edwin Burton Thayer (1968–73) reorganized the budget and overhauled the diocesan infrastructure. At the end of his episcopate The Episcopal Church in Colorado had 45,000 baptized members in 91 parishes and missions, and more than 100 clergy. William Carl Frey (1973–90) became the eighth Bishop of Colorado. A man of deep spiritual conviction and powerful speaking abilities, Frey set about growing the church. Shortly after Frey’s becoming bishop, the Diocesan Center on 16th Street was sold and the more modest Diocesan Center was constructed on Cathedral Square. His passion for human rights—a passion that prompted his expulsion from Guatemala, where he was Bishop from 1967 to 1971—continued with his commitment to the poor and disadvantaged. His requests for gifts of usable coats and clothing created overwhelming mounds of donations in the reception area of the Diocesan Center. The basement became the offices of the newly formed Episcopal Pastoral Center as well as offices for the Central Denver Community Service, a precursor organization of Metro Caring. In 1983 the diocese leased space for the Episcopal Pastoral Center at 22nd Ave. and Lawrence St. in downtown Denver. With support from members of the diocese and gifts large and small, a capital campaign raised sufficient funds to purchase and renovate 2223 Curtis Street, which became the Saint Francis Center, a diocesan institution. Saint Francis Center provides a number of services for people struggling with homelessness. In 1983 the proceeds of the sale of the nonprofit Presbyterian/St. Luke's Healthcare Corporation in 1985 were used to create The Colorado Trust. The Trust is a foundation dedicated to the health of the people of Colorado. An annual draw has since 1984 supported the Colorado Episcopal Foundation, which provides funding for congregations to benefit programs and to stimulate new congregations across the diocese. 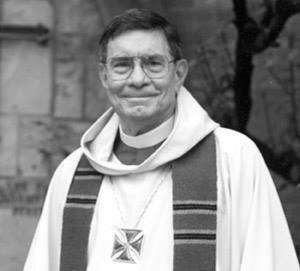 Consecrated Suffragan Bishop in 1980, William “Dub” Wolfrum served until 1991. With his wit and wisdom, Dub left an indelible “bootprint” on the church in Colorado. The creation, in 1988, of a system of Five Regions—Northwestern, Southwestern, Sangre de Cristo, High Plains, and Front Range—each gathered under a resident canon missioner, has enabled congregations to convene, each in their own region. 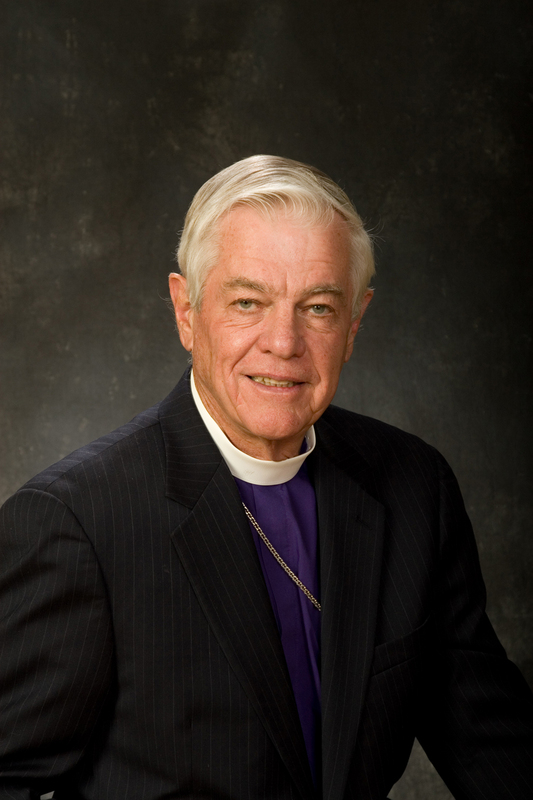 William Jerry Winterrowd became the ninth Bishop of Colorado in January 1991. He served until 2003. The great issues of recent times—the relations of parish to diocese and diocese to The Episcopal Church, the controversies surrounding the evolving theology of human sexuality and the role of women in ordained ministry—were all hotly debated during Bishop Winterrowd’s tenure. His position was, “As your bishop, I believe my role is to be a centrist; that is, to maintain the tradition of doctrine, discipline, and worship of the church, and at the same time to be open to the mind of God." Following the General Convention in 2000, several clergy and a few hundred lay people left The Episcopal Church in Colorado to join with the new Anglican Mission in America. Bishop Robert O'Neill was elected as Colorado’s Bishop Coadjutor on June 21, 2003, and was consecrated Diocesan Bishop on October 4, 2003. Bishop O’Neill faced a number of challenges posed by the culture wars besetting both the country since the Civil Rights movement and the Episcopal church since the General Convention of 1979. What was the role of Scripture, for example, and how was it interpreted? What place would LGBTQ+ individuals occupy among the church’s faithful? How would new forms of service be incorporated into the church’s liturgy? Knowing that the many and far-flung parishes of the diocese reflected a spectrum of theological beliefs and opinions, O’Neill engaged The Episcopal Church in Colorado in prayerful and face-to-face discussions at regional and diocesan gatherings. He also encouraged a focus on areas where there was diocese-wide agreement—ministry to teens and young adults, developing and fostering healthy congregations led by healthy, well-equipped clergy and lay leaders, and by answering God’s call to address the suffering of the world. These areas of focus led The Episcopal Church in Colorado to establish more than 30 Jubilee Ministries, now part of the Office of Advocacy and Social Justice, to bring in the Congregational Development Institute, to add two chapters of the Colorado Episcopal Service Corps (Denver and Steamboat Springs), and to create and equip a disaster-preparedness and recovery office—all under Bishop O’Neill’s leadership. Just a block from the Office of the Bishop, the newly constructed Saint Francis Apartments at Cathedral Square has recently opened and begun providing permanent housing and case management for people who were recently homeless. Bishop O’Neill was also the driving force in 2011 behind the acquisition of Cathedral Ridge, a camp and conference center for the church in the mountains near Pike’s Peak. CLICK HERE to learn more about this important diocesan institution. The Episcopal Church in Colorado faces both challenges and opportunities. Diocesan historical records, including this brief history of our diocese, have described the essential and ineradicable challenge of geography and terrain, which the first bishops traversed on horseback or wagon cart. With so large a diocese, separated by mountains, plateaus, High Plains, and divides at the very roof of the continent, parishes and missions and their people can feel, and become, isolated. Our Diocesan Regions continue to try to unite congregations in community, advocacy, and service. Arising from this new system are creative new responses and the generous sharing of assets, ideas, and hope. Phenomenal population growth—Colorado continues to be among the fastest-growing states in the nation—brings more than people. It brings energizing opportunities to expand The Episcopal Church in Colorado. Worshiping communities and diocesan institutions now number 107. This legacy of innovative and resourceful leadership is there to build upon. Successors are well-poised to create an even brighter future for The Episcopal Church in Colorado. See Profile, Saint John’s Cathedral, http://sjcathedral.org. Henry Martyn Hart, Recollections and Reflections (New York: Gibb Bros. & Moran, 1917), p. 119. Hart was dean of the Cathedral from 1878 to his death in 1920, and his memoirs contain useful early sketches of the church in Colorado. © 2018 The Episcopal Church in Colorado. All rights reserved.